Mercedes-Benz Sprinter Interior, Sat Nav, Dashboard | What Car? 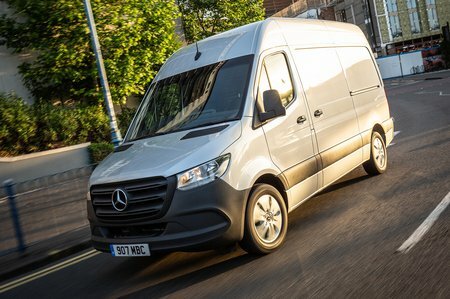 Mercedes is billing its new Sprinter as the most connected van on the market – making a great deal of noise about Mercedes Pro and the services that can be provided around the van including fleet management, improved communications and a greater transparency with the vehicle and its needs (eg. servicing or fault code warning). 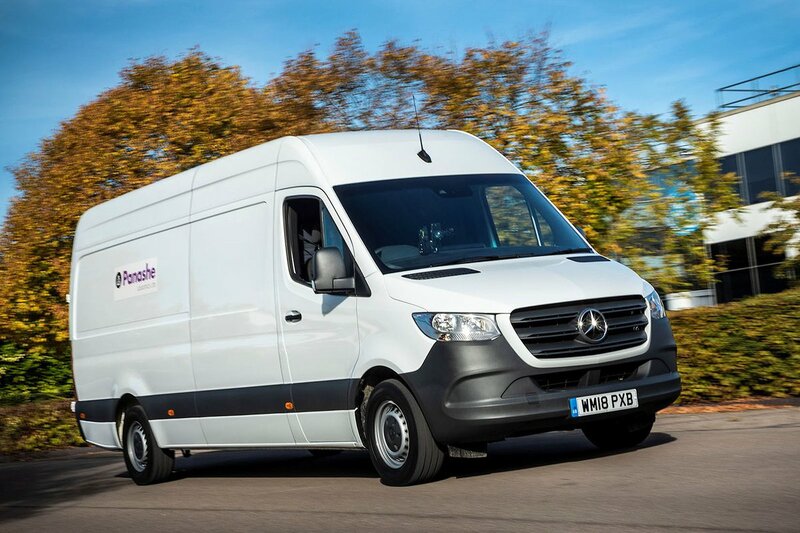 On a more basic level, however, the inside has been dramatically overhauled to better suit the people that are using the Sprinter – the driver. Basic interiors are still geared around storage and functionality, with large open areas suitable for keeping all manner of items. 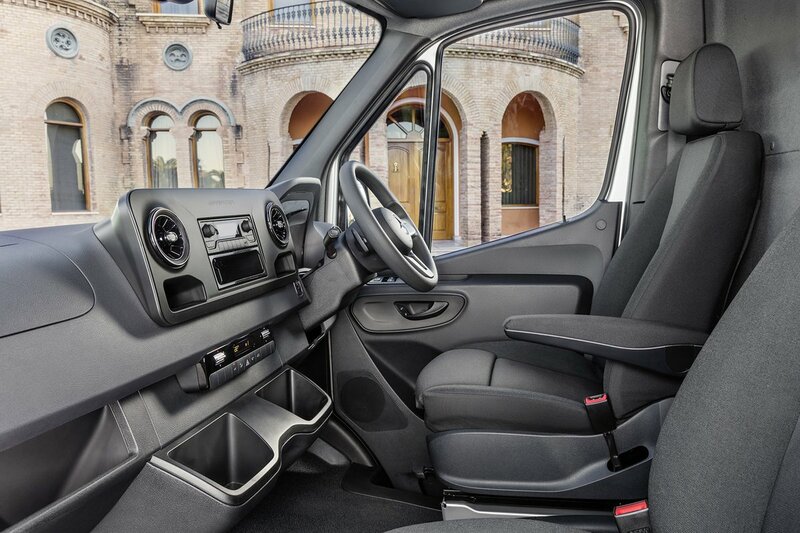 Entry-level vans in the UK get a 7.0in touchscreen as standard, but as you explore the range of options available the storage becomes more sophisticated and the centre console more elaborate, with a 10.25in screen option available to provide navigation and infotainment. It’s an imposing screen and one that certainly fills the console. From a purely cosmetic point of view it looks better than the 7.0in version too, but given that the larger screen will come at a hefty price we’d be inclined to stick with the standard screen. The new interior does lack a glovebox, which many will find an annoyance, but the space around the gear stick has been used to provide additional space. Opt for an automatic gearbox and you’ll get two large storage holes beneath it that can be specified with cupholders or as a smaller cubby. Alternatively, you can delete the storage altogether to provide extra knee room for the middle seat passenger. If you’ve got a manual gearbox, the gear stick takes up one of the spaces leaving the other free for cupholders or general storage. It’s a quality feeling interior too, as you would expect from Mercedes. The plastics are soft and textured, while switches are springy and much closer to car equipment than CVs. Even small details like pushing on the air vents result in a weirdly satisfying amount of give, demonstrating that in the Sprinter these aren’t your common or garden commercial vehicle components.